Mold is a living organism that thrives off damp, unstable conditions. It is not uncommon for a home, especially in a warm climate that sees quite a bit of rain, to develop the perfect conditions for mold to grow. If you find yourself, or someone you know, in a situation where mold is present please be aware of the mold remediation Do’s and Don’ts listed below. Having a good knowledge of what and what not to do will help you better remediate the mold that is present. Mold Remediation DIY is never a good idea. If you’re thinking DIY is the way to handle this situation, please see the “Don’ts” of this article. Keep children and pets away from the compromised area. Small children and pets are highly susceptible of contracting mold related illnesses. The elderly is also at risk due to the possibility of a weak immune system. Quarantine the area if possible. To go along with the “Do” above, just keep everyone away from the infected area. Mold should not be disturbed once it is found. For more information on how to not disturb mold please continue reading. Fix the source of the moisture issue. Fixing the root cause of the issue is step one. You can’t expect your issue to be remediated if the ideal conditions to grow mold are still present. This is the point where the leak should be repaired, the standing water should be mitigated, and/or the moisture issue should be eliminated. Fixing the source of the problem will help ensure the problem will have a better chance at being remediated indefinitely. Reduce the humidity level with a dehumidifier. Mold loves damp spaces. Eliminate the moisture in the air with a dehumidifier. I recommend contacting a trusted HVAC company or supplier for information on a dehumidifier that will best fit your home. Turn off HVAC system to that area. By turning off the HVAC system that controls that area you are eliminating the chances of mold spores infesting your system and being dispersed throughout the home. Sniff it. Mold does not have a smell. Moisture is the “sweaty sock” smell that is mostly present with mold growth. Inhaling mold spores can be detrimental to your health. Poke it. 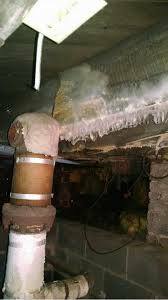 Mold that has been agitated will cause a spread of its particles on both the surface and in the air. Clean it with harsh chemicals. Mold is a natural organism. Cleaning it with an unnatural chemical, such as bleach, can cause the mold to “freak out” and spread. Yes, your Clorox can take care of the situation momentarily but cleaning with such a harsh chemical can have a negative effect on your, your family, and the surface. At times the mold can come back, and with a vengeance. It’s best to use all natural ingredients to treat and maintain this situation. Paint over it. As the DIY culture grows manufacturers target products to this group, “Mold killing paint” being one of them. Painting over mold is a horrible idea and is something that should be avoided at all costs when it comes to mold remediation. This paint claims that it can stop the spread of mold, kill it on the surface, and cover any stains. What it does is suffocates the spores and prevents you from seeing any new growth and/or activity. Dry it out with a fan. Aiming a fan on the affected area will only cause it to break apart and disperse mold spores into the air. When this happens, they can land in a variety of places: other surfaces, your HVAC unit, and in your respiratory system. For more information on mold and mold remediation please contact First Call Cleaning and Restoration, Inc. at (336) 227-1807. I like your tip on getting a dehumidifier. Regardless of whether we have mold or not, I think it would be a good idea to get one just because of how sticky it is here. I’m thinking about just hiring someone to come out here and run an assessment on our house. I liked that you pointed out that cleaning with some hard chemicals can help get rid of it. That does seem like a good thing for a new homeowner to know. I hate mold and don’t want to have it in my home. Personally, I would want to hire a professional to get rid of it for me. Please, don’t do the remediation yourself. You could cause a huge issue with the mold, by spreading it all over the house. Just consult a professional. Call Now to Request a Free, Zero Commitment Quote.